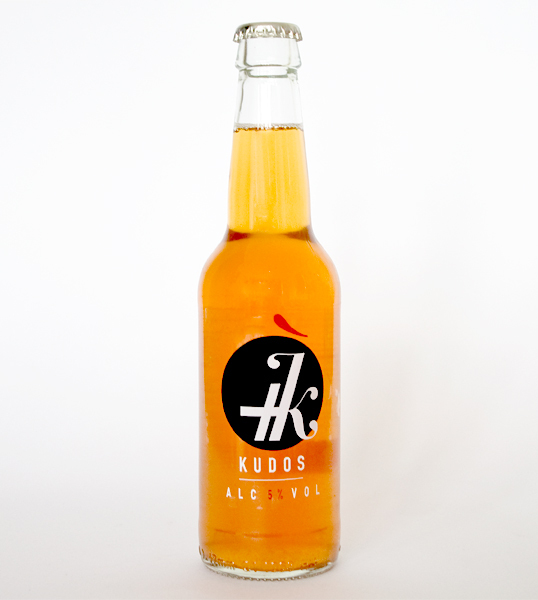 “Kudos is a new beer product from Green Room Ales, it is revolutionary in that it is brewed like a beer but filtered like a lager. Oh my gosh it looks so yummy. XD And I hate beer. That’s some powerful packaging you got there. Different and minimal, like it. Oh, this is gooooooood. Great design, clean, give me give me give me!!! Had some of this the other day in Leicester. Good beer, love the bottle design.